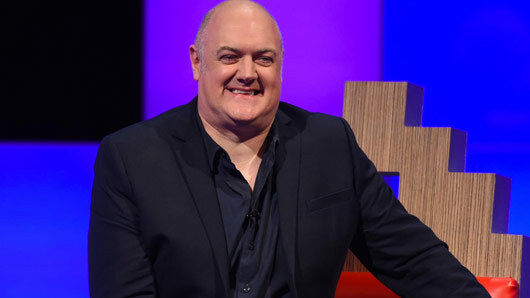 Dara O’Briain is a little bit of a national treasure. 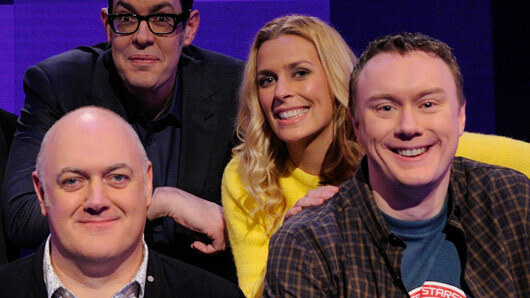 A regular face on Mock the Week, he’s basically television and comedy gold. That’s why we’re so excited to see him return to our screens on returning Dave video game panel show Go 8 Bit this Monday. That’s also why we’ve compiled this list of our favourite comedy moments, starring Dara, to whet your appetites! 2. And then again by Metal Gear Solid. 3. Who could ever forget the noble soldier Private Browsing? 4. And the moment we realised Dara looks EXACTLY like the Megabus man. 5. Then there was that time Dara took on anti-piracy ads. 6. And the other time Dara explained the differences between learning to drive as a 17-year-old and learning to drive as a 34-year-old. 7. The time we wondered if Dara could do all the cricket commentary. 8. Every time Dara mentions homeopathy. 9. That time he was kind of right about racism vs astrology. 10. And finally, that one hilarious time Dara vented his frustration about recent media coverage. Get ready to delve into the virtual world of gaming for a second time, because Dara O’Briain’s Go 8 Bit returns tonight at 10pm on Dave. Guests this series include Vernon Kay, Russell Kane, Sara Cox, Lolly Adefope, Richard Osman, Rob Beckett, Edith Bowman, Gemma Cairney, Bec Hill, Elis James, Zoe Lyons, Sara Pascoe, Jon Richardson, Daniel Sloss, Ellie Taylor and Robert Webb. And they will be playing a varied selection of games, with everything from classics Mega Man 2 and Lemmings, to cult titles such as Octodad and Goat Simulator, up to contemporary bestsellers like Angry Birds and Uncharted 4 featuring on the show. Oh, and the good news doesn’t stop there! The main show will be followed by a brand new games review programme: Go 8 Bit DLC. So we hope you’re prepared for a whole hour and a half of the ultimate gaming experience. 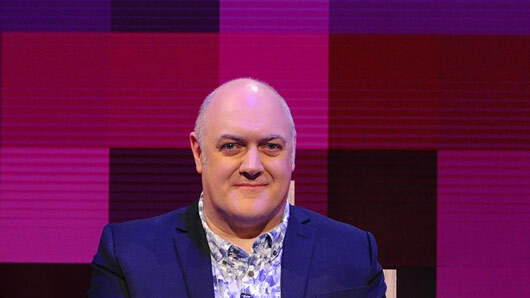 Dara O’Briain’s Go 8 Bit returns tonight (Monday, May 15) at 10pm on Dave. 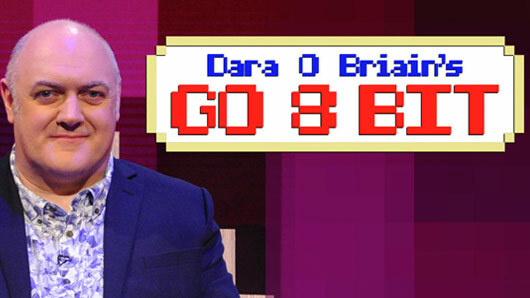 Fill in a short survey on Dara O’Briain’s Go 8 Bit for a chance to WIN £20 iTunes vouchers! Popular gaming show Dara O’Brian’s Go 8 Bit is back for a second series on Dave and to celebrate its return we are giving TVGuide.co.uk users the chance to win £20 iTunes vouchers. 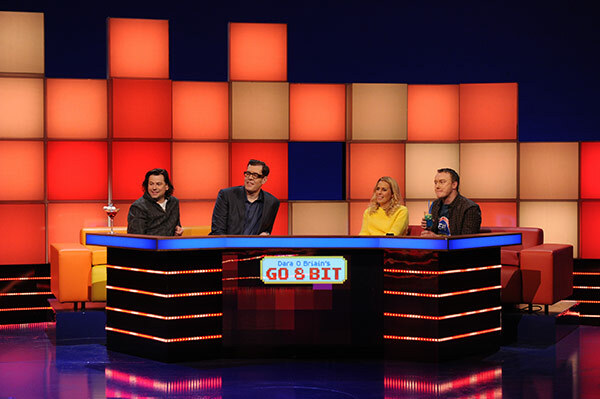 Dara O Briain’s Go 8 Bit airs tonight (Monday, May 15) at 10pm and will see a host of celebrity guests battle each other at a host of classic and contemporary games. Guests this series include Vernon Kay, Russell Kane and Sara Cox amongst many others as they take on everything from Lemmings to Angry Birds. The main show will also be followed by a brand new games review programme: Go 8 Bit DLC. So we hope you’re game (pun intended) for a whole hour and a half of the ultimate virtual experience.